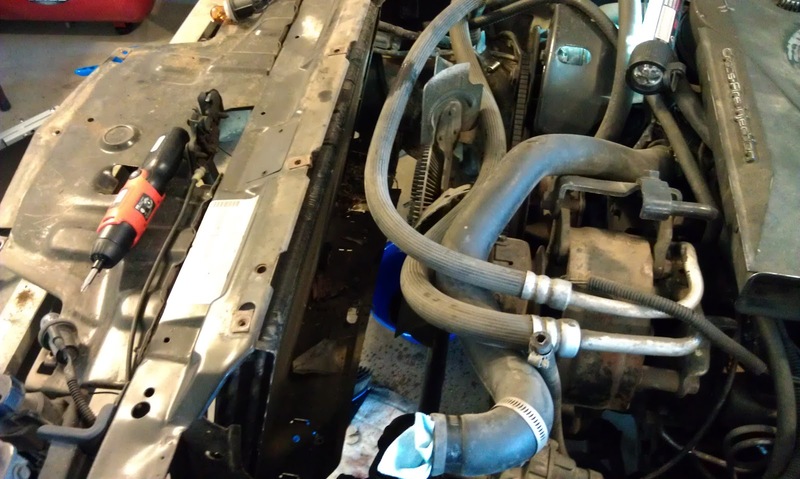 I decided to start by removing the radiator this morning. 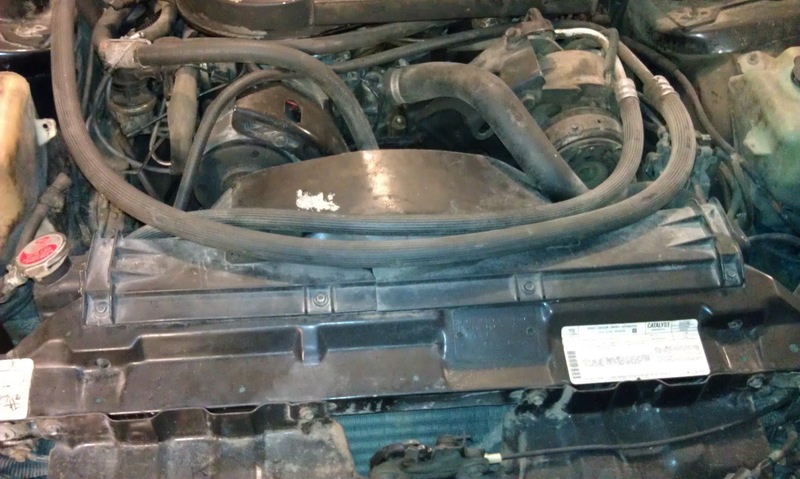 The previous owner installed a radiator from a Pontiac 6000. 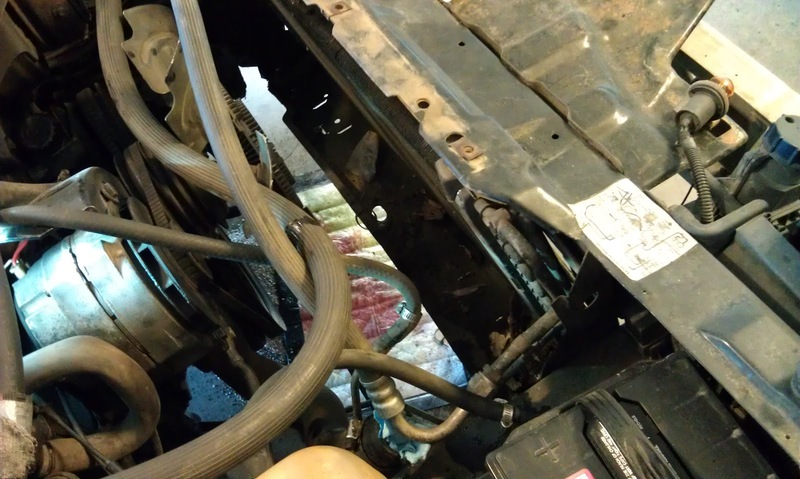 Not only is this radiator too small for the Trans Am, but it required a hack job to get the transmission lines to hook up. 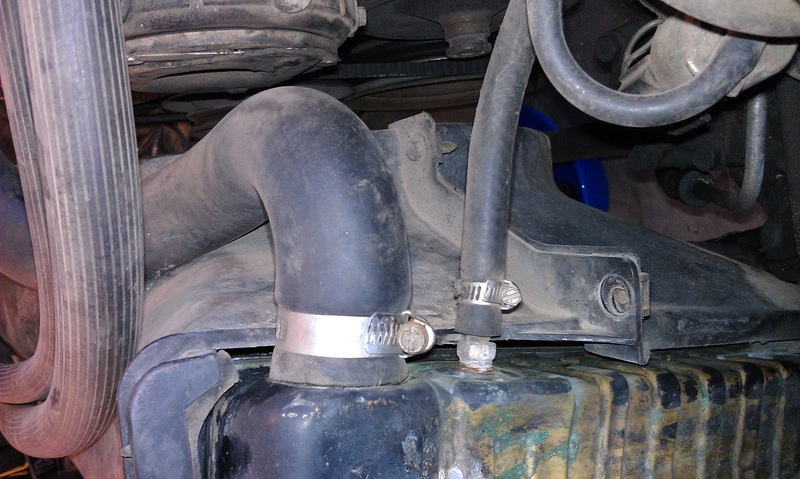 The first step was to drain the radiator. 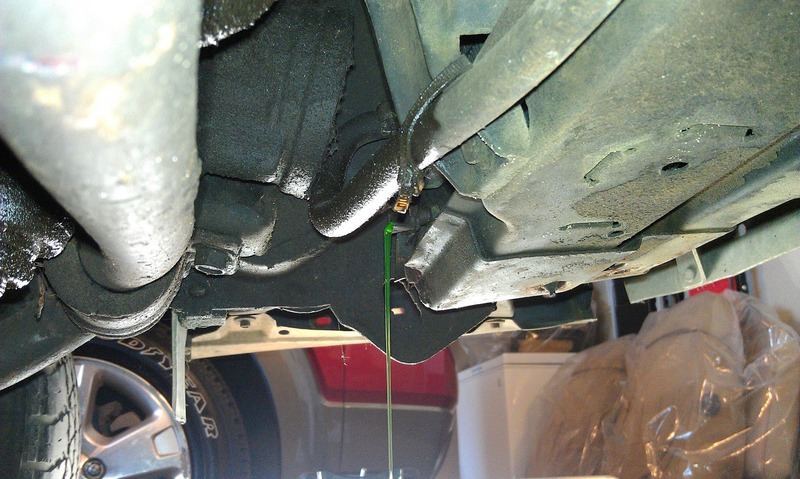 I used a 10 quart oil pan to catch the fluid. 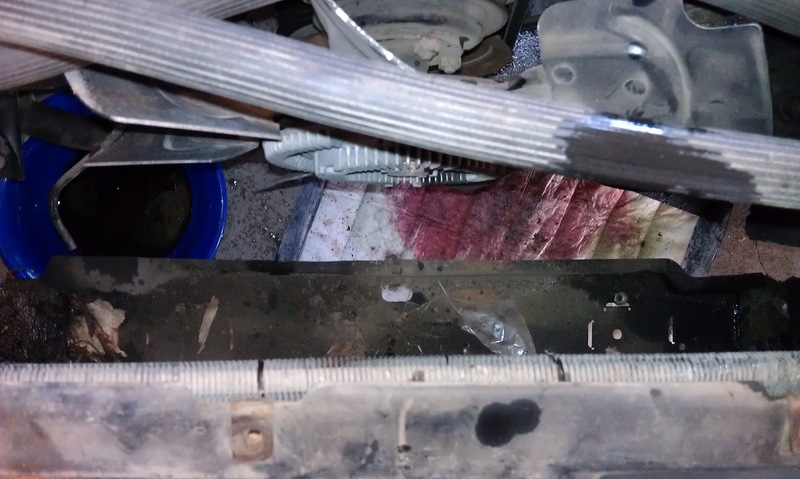 An example of the hack job with the transmission lines to the radiator. These had to be disconnected in order to remove the radiator. Another transmission line hack job and the upper and lower fan shrouds. Some more hack work with the upper fan shroud - probably because the previous owner busted it putting in the wrong radiator. Notice the upper fan shroud is in two pieces (the screwdriver in the picture is pointing at the split). It is bridged together with a piece of sheet metal and four screws. 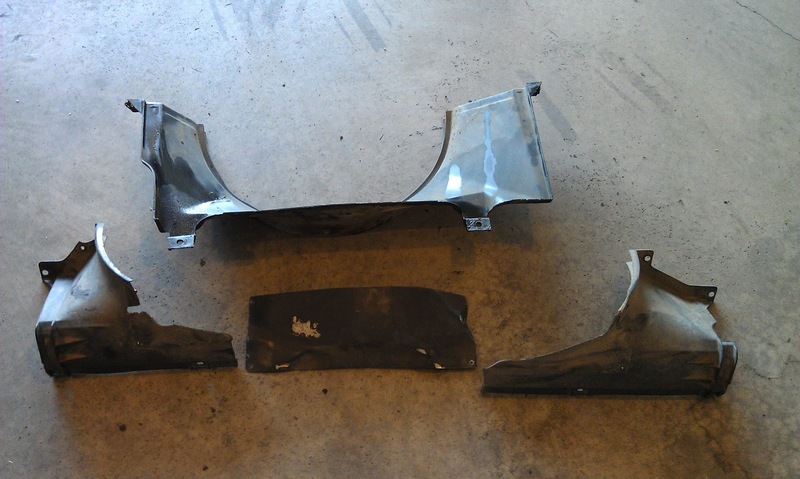 Here is the upper and lower fan shrouds. Again here you can see that the upper portion is in three pieces. I will need to find a new fan shroud. The mess: neatly contained by a bowl and a Oilzap Absorbent pad. 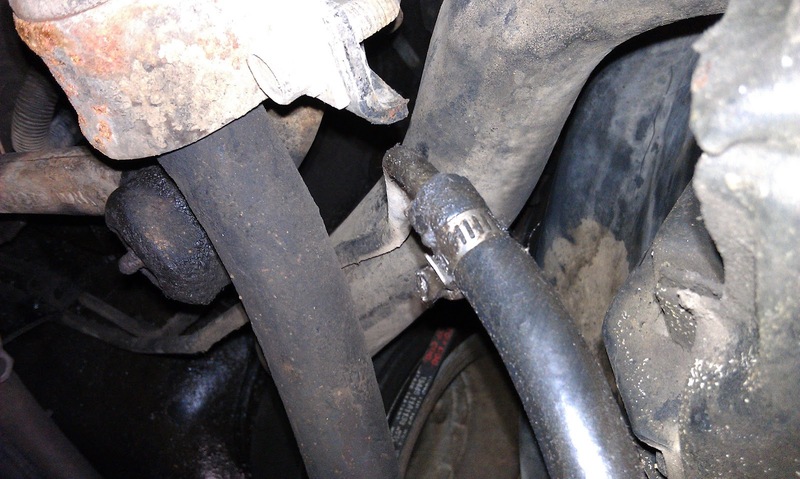 You can see here how someone bent the lower radiator support by attempting to jack at this point. I am hoping I will be able to straighten this back out. 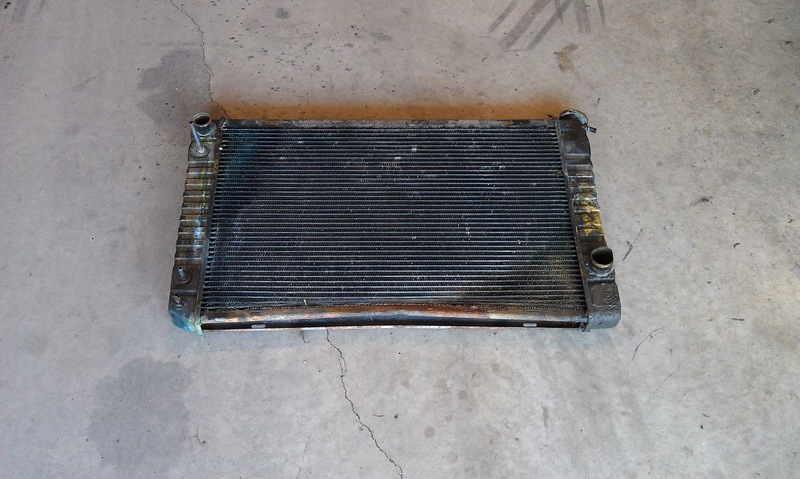 The radiator from a Pontiac 6000. 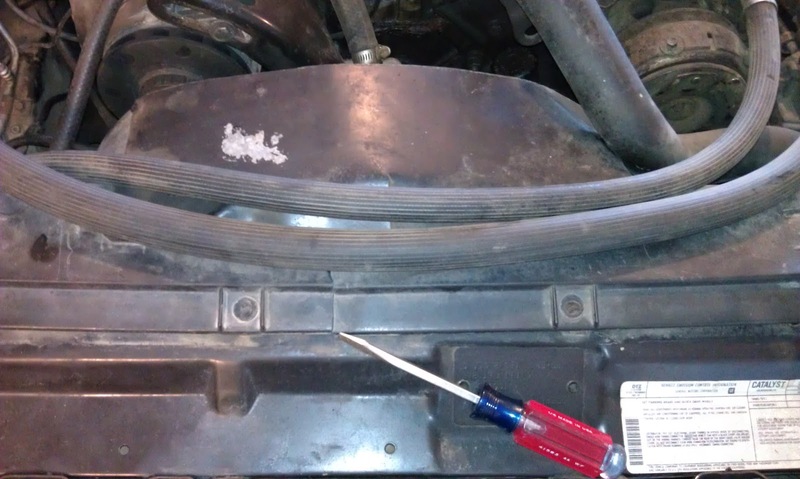 This radiator is actually too small for the Trans Am. 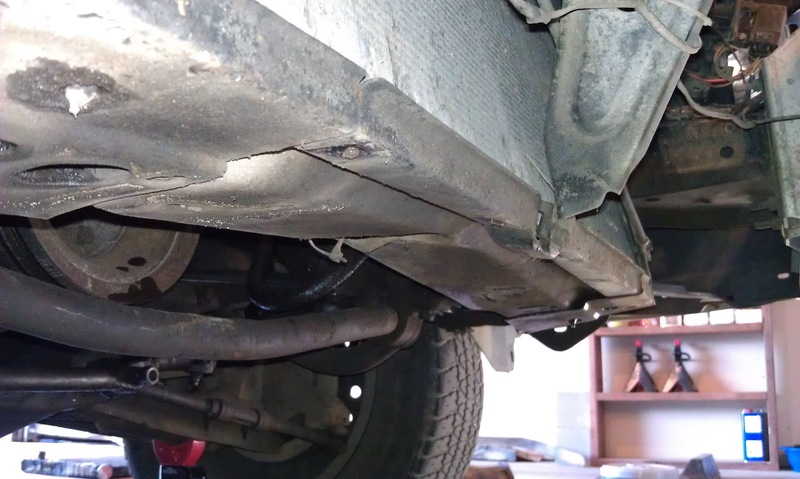 You can see the radiator has a slight bend in it from when the car was jacked at this point.